security issues before and after 9/11 to his role in international environmental issues, Gary Hart has been one of America's great public servants. Through times of triumph and disappointment, Hart's dedication to the ideals of the founding fathers, particularly Thomas Jefferson, and his devotion to the American Republic never wavered. In this insightful, humble, and often humorous account of his political and public life, Hart shares the lessons he has learned in the last forty years, imparting to future generations the significance of public service and the role of America in the world. 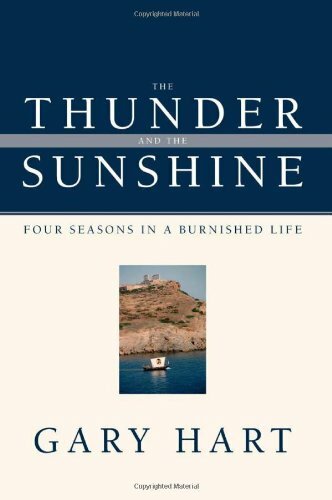 The Thunder and the Sunshine is a must-read for anyone who wants to understand where we have been as a country, and where we are heading in the twenty-first century.Gary Hart represented the state of Colorado in the US Senate from 1975 until 1987. He is currently scholar in residence at the University of Colorado, co-chair of the US–Russia Commission, and vice chair of the Homeland Security Advisory Council. He was co-chair of the US Commission on National Security for the 21st Century, which predicted the terrorist attacks on America and proposed a sweeping overhaul of US national security structures and policies for the post–Cold War century and the age of terrorism.